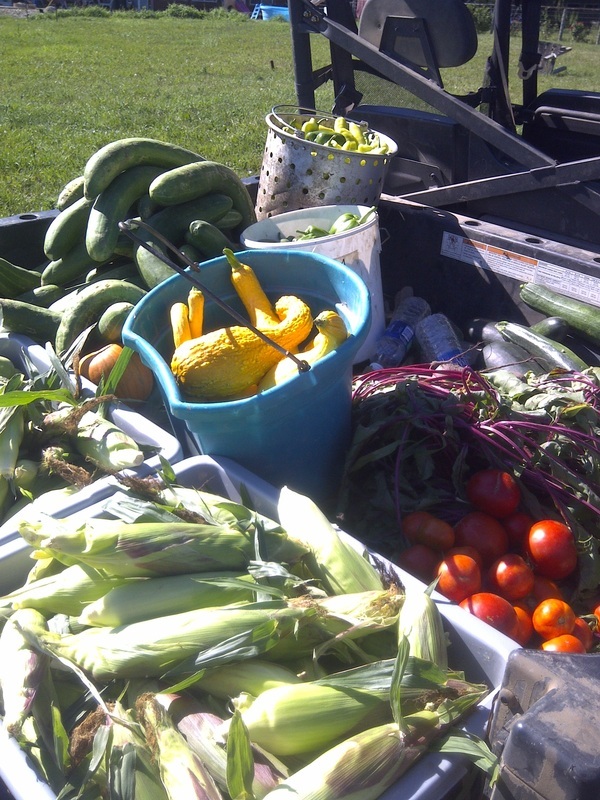 This is a picture of our harvested produce from our gigantic garden! I love our garden...it feeds us well!! We plant quite a few varieties of tomatoes, peppers, squash, onions, and many more things. Last year at this time we had about 1/2 of our garden planted! We were on top of it and ready to go! This year....we can't even see our garden, under the lovely blanket of white, fluffy, cold, wet stuff that is on it! Hopefully before it's harvest time! With another snow storm hovering over us right now...the chances are looking dim!